We were welcomed by a “Bienvenidos!” by the Alavar staff, as we entered this iconic Zamboanga restaurant for dinner. An excellent way to distress after a 3-hour flight delay from Manila. 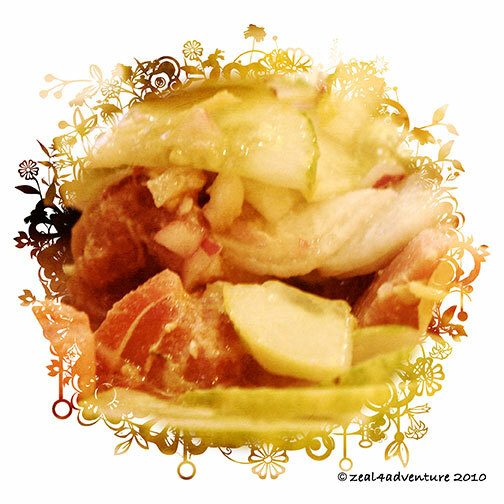 For a while there, I was disoriented… where am I? 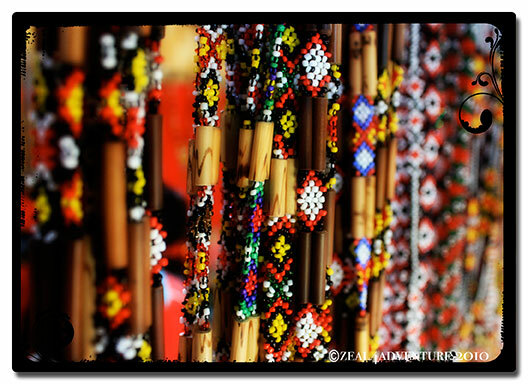 Zamboanga is popularly known as Asia’s Latin city because of its unique native dialect. 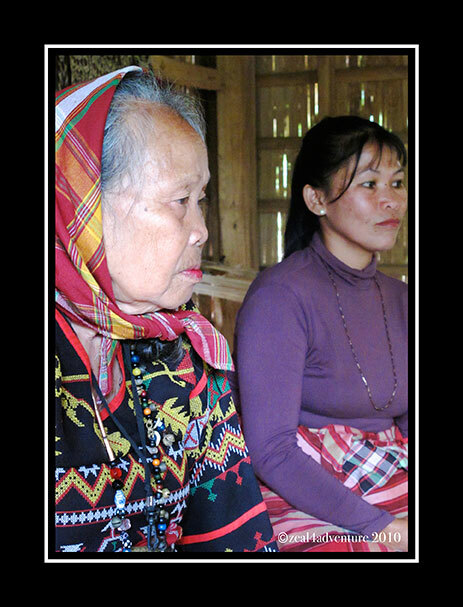 The Chavacano dialect is a mixture of Spanish and various other local dialects and international languages. It is also the oldest spoken language in the country reflecting a rich linguistic history of its people. 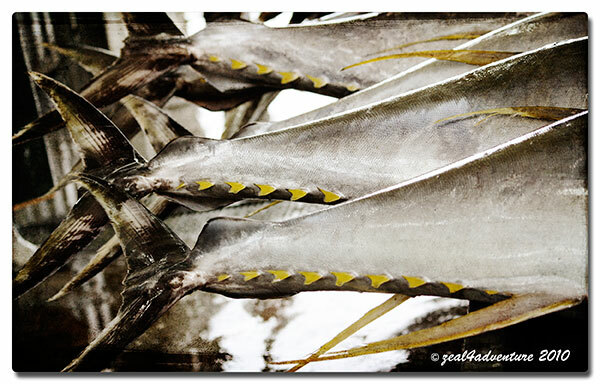 So rich in natural resources, it is dubbed as the “Sardines Capital of the Philippines” as sardine fishing and processing accounts for about 70% of the city’s economy. Having said that, it is also known as the City of Flowers (the etymology of Zamboanga comes from the Malay word “jambangan” – garden of flowers. I’ve always wanted to visit Zamboanga but never got around to it until now, upon my urging and the invitation of (my new and hubby’s old) friend. An emerging tourist destination, the city continues to attract visitors because of its multi-cultural dishes, gorgeous beaches, and rich history. It is known for its pink sand beach, sand bar, and mangrove lagoon. 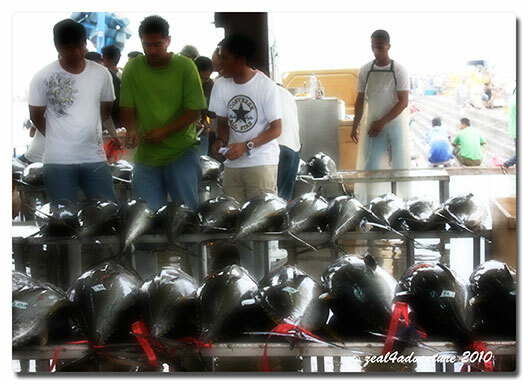 Just 20 minutes away by boat from the Paseo del Mar, it is probably the most popular tourist spot in Zamboanga. 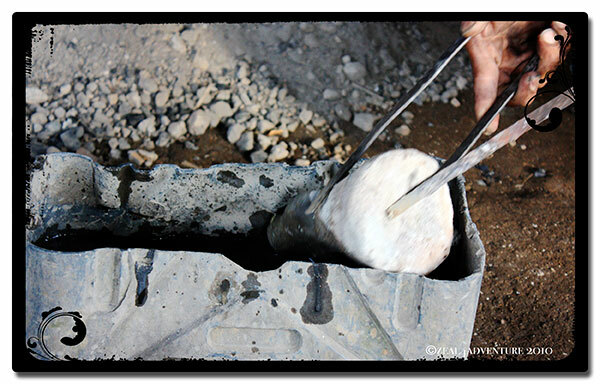 The pink sand comes from the crushed organ pipe corals. A protected area in the Basilan Straits, visitors are allowed to visit the sandbar but with a 15-minute time limit. 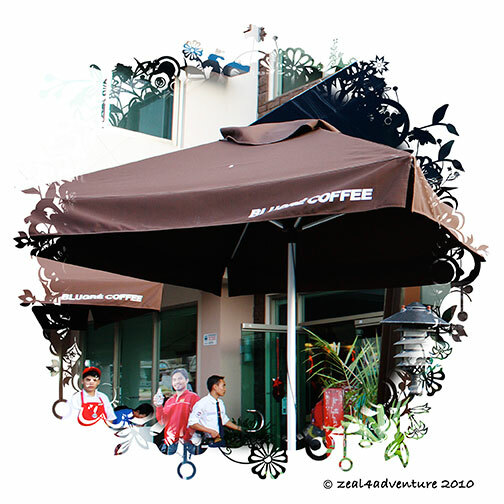 There are also no accommodations on the island and camping is likewise not allowed. No restaurants, only low-impact facilities, and structures were built on the island. 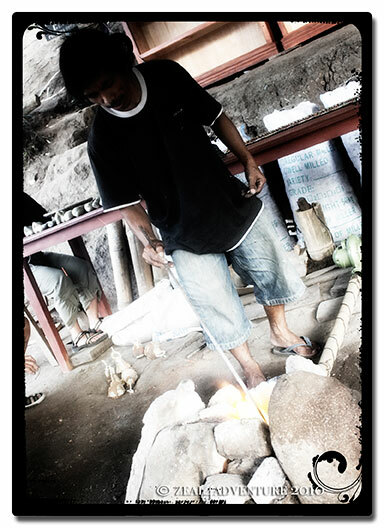 There are locals selling seafood, and you can request them to cook it for you, for a fee. In our case, our host brought most of the food. A start in the right direction, don’t you think? 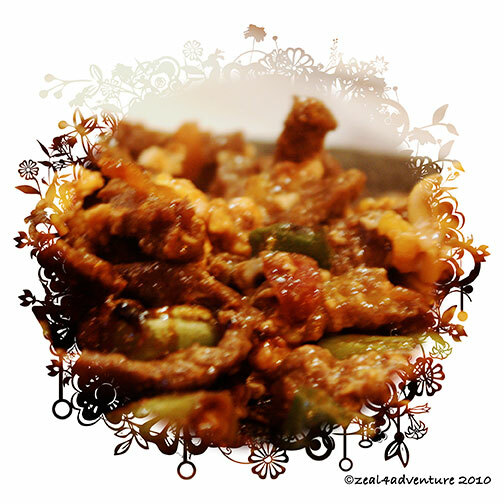 Clockwise: sambal, pitik (sea mantis), Pyanggang chicken (cooked with burnt coconut and other spices), mud crabs… yum! Make sure to also explore the mangrove lagoon because this was the highlight of my day. You will witness an extensive mangrove system where flying foxes and various waterbirds roost. Richard, the guide, talking about the different types of mangroves. Cottages range from P100-500 depending on the size. Composed of 11 islands along the Moro Gulf, located within the boundaries of Barangays Panubigan and Dita. Four are open to the public so far. To ensure responsible and sustainable tourism development and cultural sensitivity, the islands are managed and led by the community of indigenous people who live there. This is, of course, with the support of the Local Government Unit and the City Tourism Office. Just an hour drive from the city proper, these islands are ideal for low-impact activities like swimming, snorkeling, kayaking, and trekking. 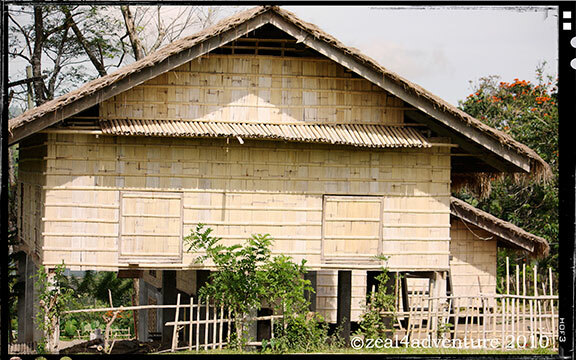 Formally launched in July 2018, Once Isla is the newest eco-cultural tourism attraction of Zamboanga. Beautiful, powdery white beach on one side and stunning rock formation on the other, which can be trekked with a guide. During low tide, they said that visitors can cross over to the smaller islet nearby and take a dip in the tidal lagoon. We didn’t get to do this. Our second stop is a lovely island with powdery soft sand and crystal clear water. The island has a fine sand beach with a fabulous sandbar that appears during low tide. A short trek away, on the other side of the island, is a Sama Banguigui tribal community, which can prepare food if given enough notice. This side of the island is equally, if not more beautiful because of the mangroves grown on one side of the beach. 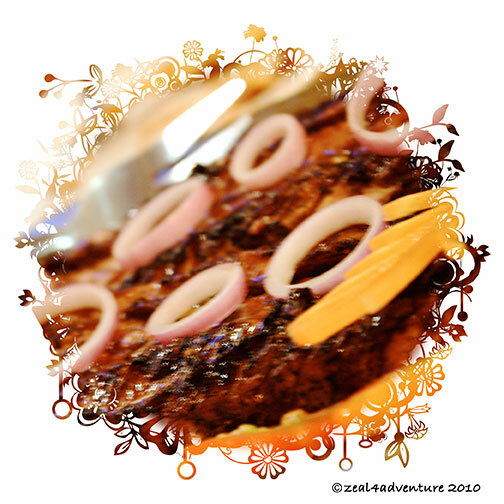 General Santos has an array of good eats that made me more than smile. Here’s what has landed on the top of my list. Named after its owner Gatchi Gatchialian, I reckon. 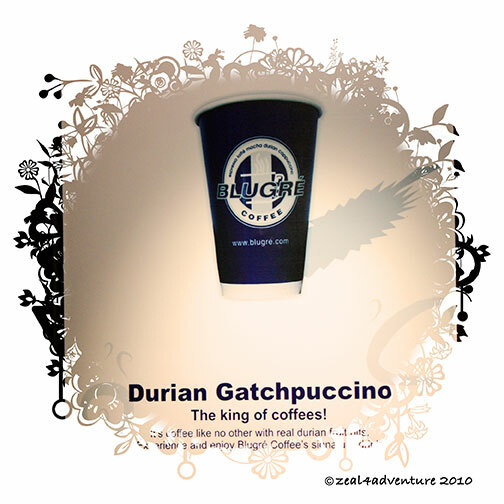 Blugre Coffee, originally from Davao, became famous for their Durian coffee concoction. Heard so much about it and the first thing I did was head over to GMP building, along South Osmeña Street to see what the rave was all about. 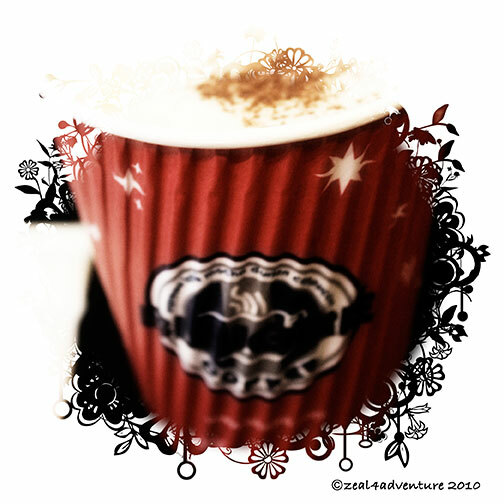 It’s cappuccino with durian bits, indeed something to rave about if you love durian – of course. 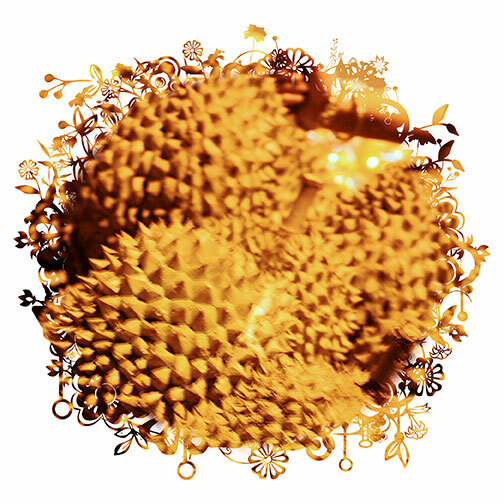 As you have probably noticed by now, I have this love affair with durian – wasn’t love at first sight though but I was rather introduced to it gradually. I first tasted Durian flavored pastillas (milk candy) years ago and loved it, and then I discovered Durian ice cream, totally adored it. 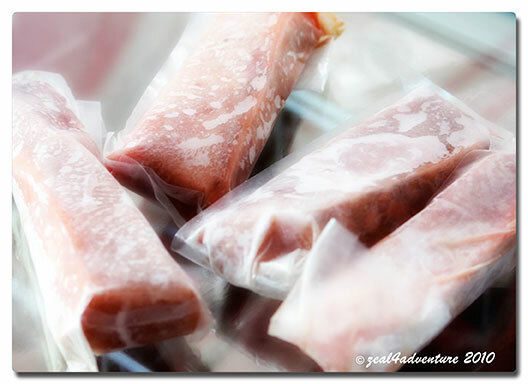 I eventually had a go at the actual fruit, frozen at first — tasted very much like the ice cream. And for more than a decade now, I am more than smitten. 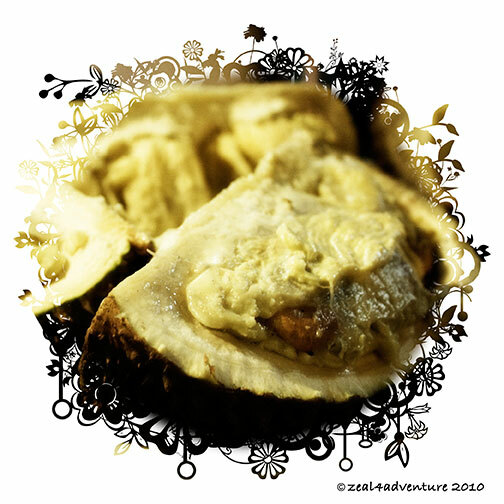 we (the durian addicts) grabbed ourselves some and had a feast. The only restaurant in GenSan that offers ostrich and crocodile delicacies but more than these, we had some pretty good appetizers too. 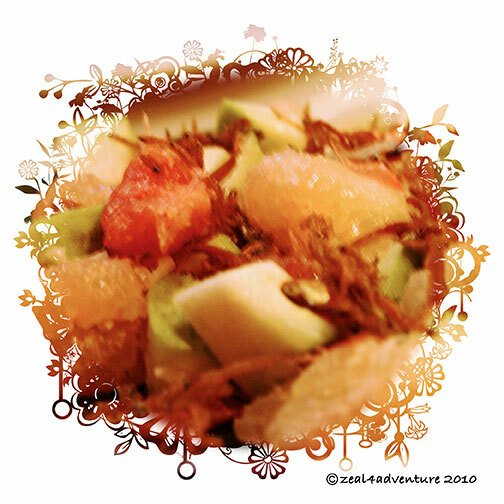 One that caught our eye was “Dili Ka GuaPo” (translated in English as “you’re not handsome”) – a mix of crispy fried dilis (anchovies) kag (is “and” in Bisaya) sliced guava, and pomelo dressed in vinaigrette, hence the name. 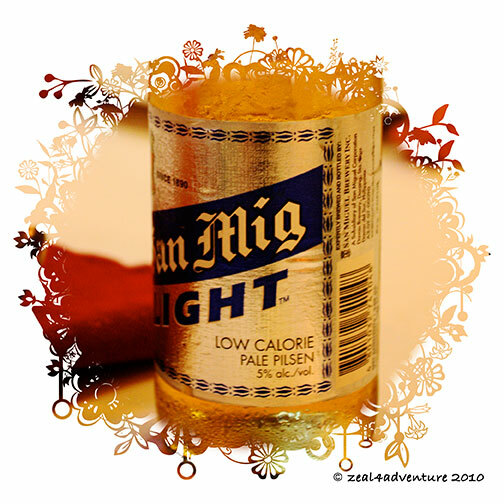 Aside from its eye-catching name, it is a refreshing combination of salty, sweet and sour. 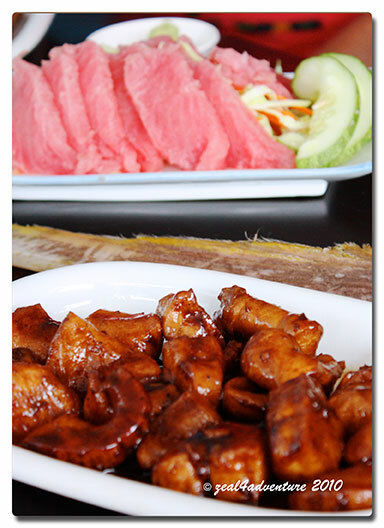 Located at the NCCC compound off the National Highway, this wonderful find is a must-try when in GenSan. Tuna fishers in a busy international fishport, porters hauling them off to be weighed in the market… a scene we almost did not get to see. 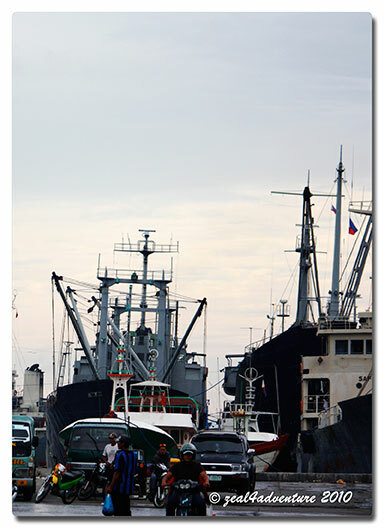 Up at the crack of dawn, I got ready to meet up with the others to visit GSFPC – that’s General Santos Fish Port Complex. We walked a few blocks from our hotel, hopped on a jeep that took us to the gate of the fish port only to be told to go fish! Haha! They apparently have this rule of no shorts, sandals or slippers on the complex. And all 6 of us were either in shorts, slippers or sandals. Defeated and disappointed, we turned back without a plan B really. As we turned around to walk back, we saw someone come out of the complex wearing the forbidden and we thought, “hey not fair!”. We therefore argued with the guards who were steadfast not to let us in (maybe even more so now). Just at that very moment, a man in shorts and sandals on a motorbike came up to us (as he was entering the facilities) and asked if we were visiting. And that man, our savior, turned out to be the Chief of harbor operations of GSFPC, Ramon Francisco. Ha! What timing! In short, we found ourselves a guide. To clarify though, there really is a rule however, it should have been applied only to the workers but the security (to make it simple, I guess) applied it to everyone, visitors or tourists included. 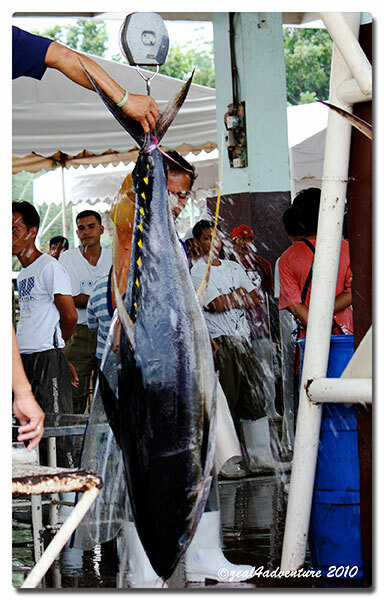 Being the sanctuary of the tuna canning factories, Gensan accounts for the 2nd largest total daily fish landings in the country (Navotas being the largest). Lying at the heart of Sarangani Bay, the proximity of the city to tuna-wide fishing grounds include the Moro Gulf, Sulu Seas, Mindanao Seas, and adjacent Celebes Seas which are known centers of tuna abundance. 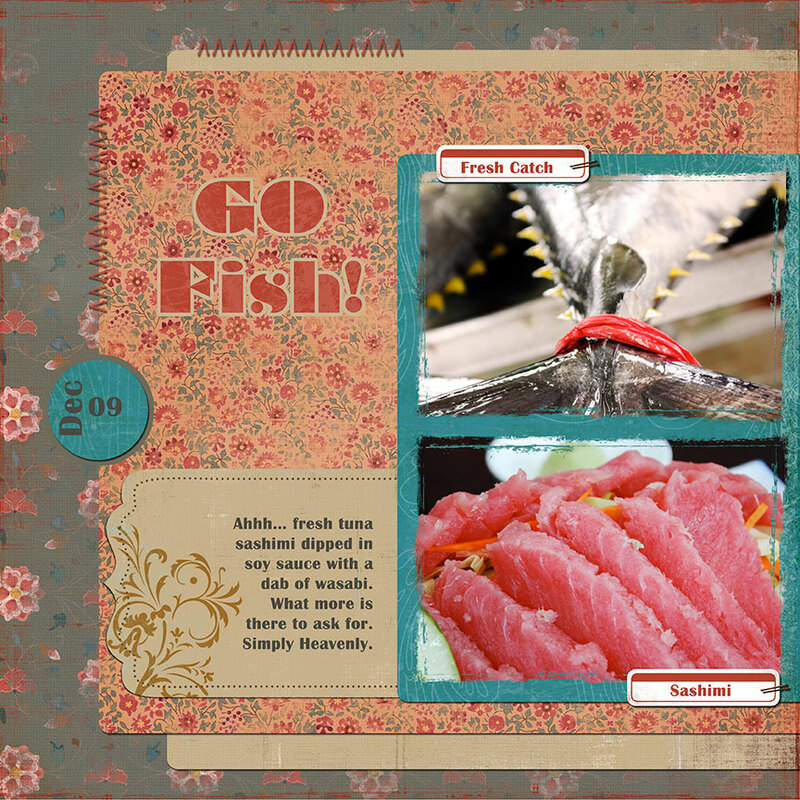 Yellow Fin tuna – a sashimi grade tuna and can grow to be a size of an adult man – is what the fishermen are after. It fetches more money than any other fish. 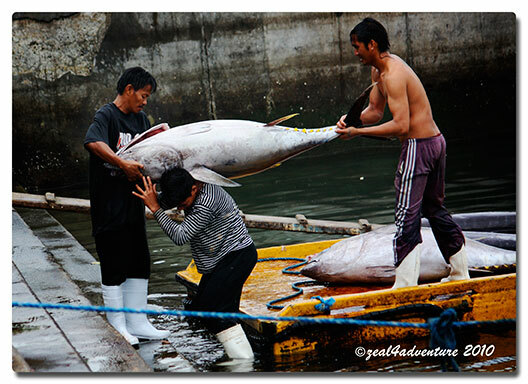 And at the fish port, traders bargain with fishermen for the prized catch which goes as far as Japan and European markets. 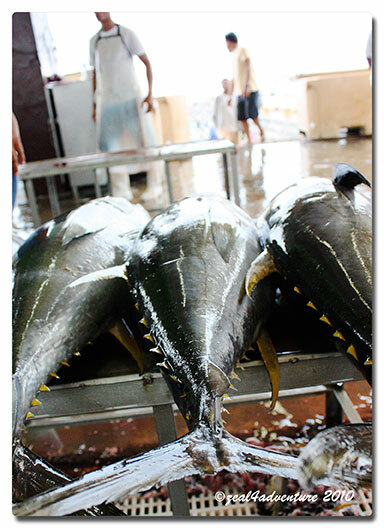 The Philippines is ranked as 7th among the tuna producing countries in the world. Sad to note though that it is declining nowadays as the warm climate continues to affect the ocean’s temperature due to the El Niño effect. 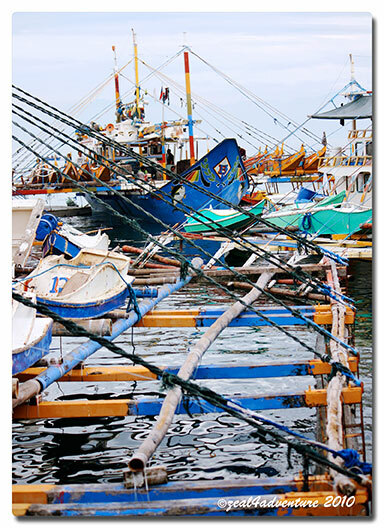 The average number of fishing boats that hits the port on a daily basis is about 25 coming from as far as borderline Indonesia and Palau Islands. 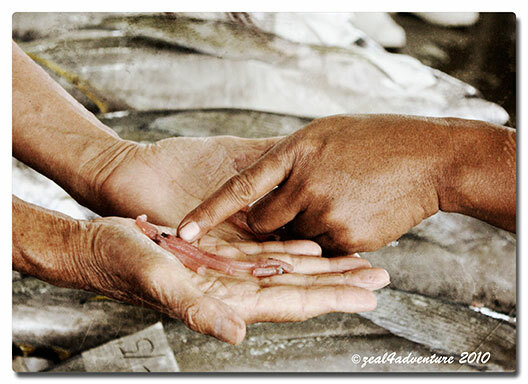 Traders inspect the tuna before it gets graded and eventually shipped out to local and international markets. After the tour, Ramon took us to a restaurant inside the complex called Noccil. There we had a feast of (almost) everything tuna. We even got to buy some frozen ones to bring home. 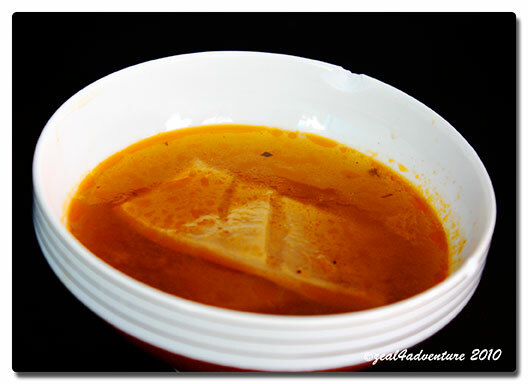 Balbakwa (gingery fish soup) — yummy! 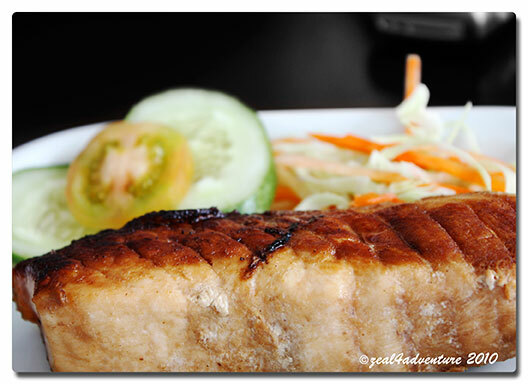 Grilled Opah otherwise known as Moonfish or in Filipino “Diana” tuna — a round flat fish, silver in color and is one of the most sought after fish delicacies. A catch comes only every 15 days or so. 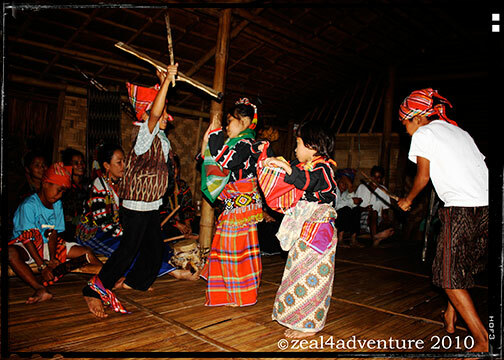 On our last night in Lake Sebu, our host prepared a simple musical production in honor of their heritage. 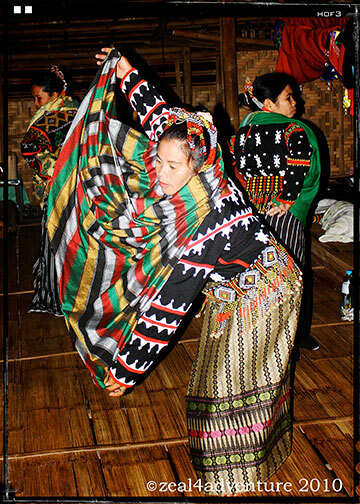 The T’bolis are masters at music, dance and storytelling. 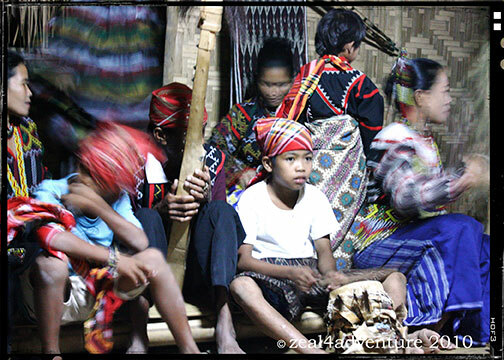 After dinner, young T’boli women, men and children garbed in their traditional and colorful costumes gathered on one side of the longhouse getting ready to perform while eight friends in shorts and t-shirts looking forward to the show. It started with our host introducing their culture, particularly their type of dance and music. Inspired by nature, they imitate in their music the sounds of birds chirping, water flowing and the blowing of the wind. These indigenous people have a rich musical heritage and a wide array of musical instruments. 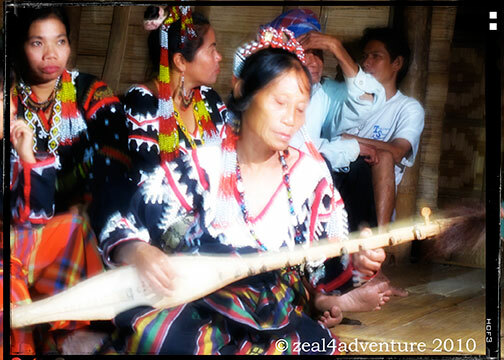 This is a Hegulong (t’boli guitar) that was played by the bead maker we saw earlier that day. It is said that a hegulong can only be made from a specific tree and a densu (ritual) of offering something to Tulus funen (a spirit who dwells among trees) must be accomplished before the instrument can be blessed with good tunes. These performances are not for entertainment but it is more of their way of seeking wisdom from their ancestors. Their dances likewise are mimics from the actions of animals, such as monkeys and birds. 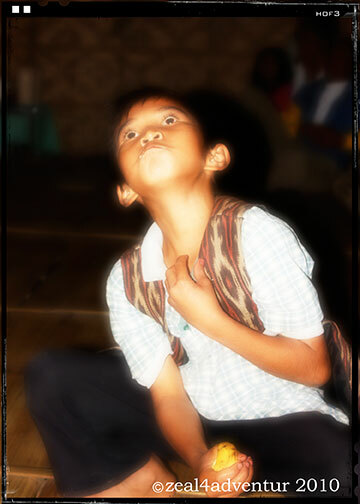 This boy was the star of the night. He twirled, tumbled, scratched and did all things a normal monkey does. It was cute and hilarious. 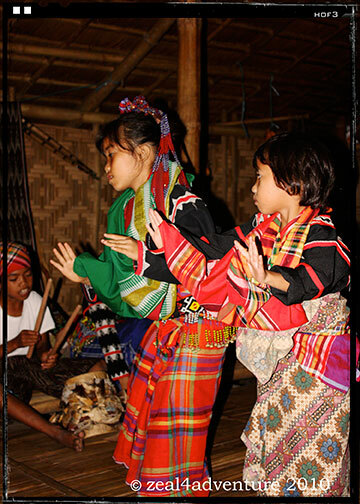 The T’boli children—whenever they gather – tap anything in sight in rhythmic beats. Something perhaps like what these kids were doing. 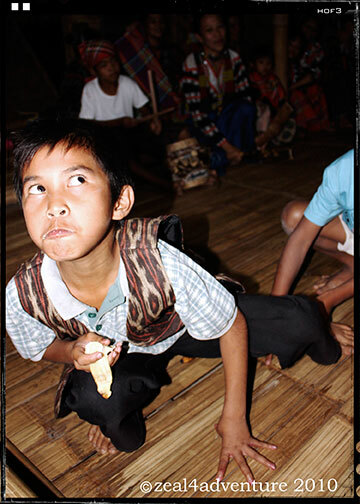 But as in many cultural heritages, the T’boli’s are threatened. 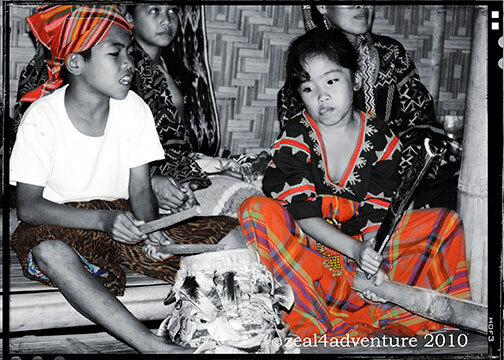 The community owned School of Indigenous Knowledge and Training (SIKAT) was set up to address their vanishing culture. 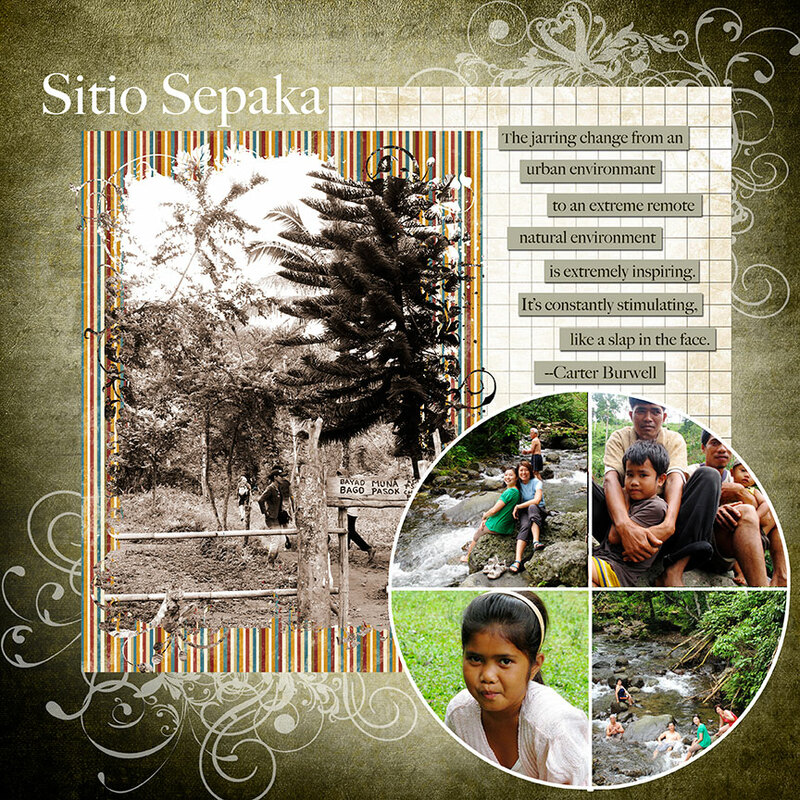 SIKAT is a school that revitalizes cultures and traditions in their indigenous education program, which includes traditional music and dances. It is their aim to encourage students to learn in their own language and to value their heritage. 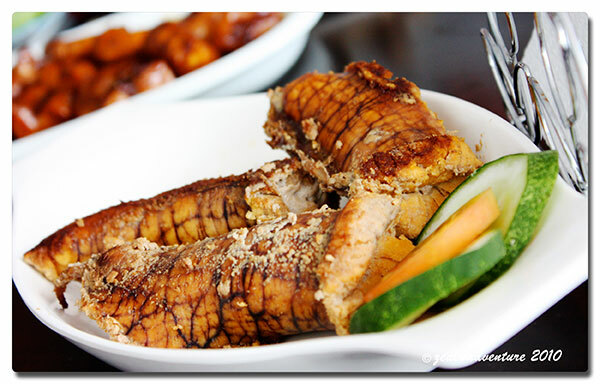 General Santos City is the gateway to Lake Sebu. From the bus terminal take a bus to Koronadal (often referred to as Marbel, its old name) and get off at the Koronadal bus station. Tell the conductor to drop you off there. The trip is about 45 minutes. From Koronadal, take the Yellow Bus to the town of Surralah (about 38 minutes). 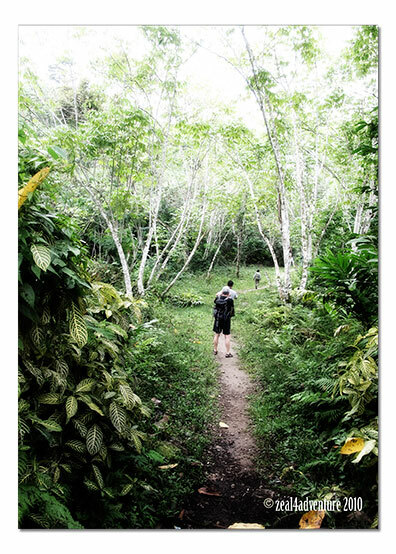 From Surralah, take a jeep to Lake Sebu (about 43 minutes). On the other hand, one can also arrange for pick-up, depending on the resort you stay at. Creative – that’s what they are. 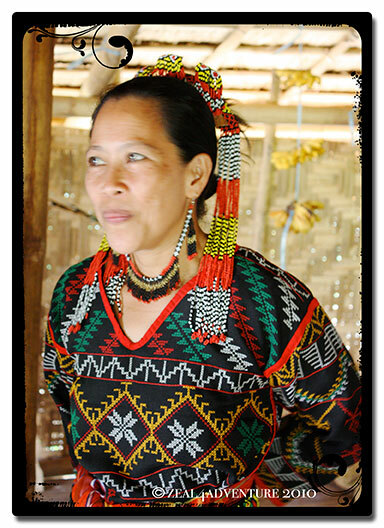 The Tbolis possess marvelous traditional craft skills up to this day – aside from weaving, they are also known for their wax brass casting and colorful beadworks, which are used as jewelries, accessories or home décor. 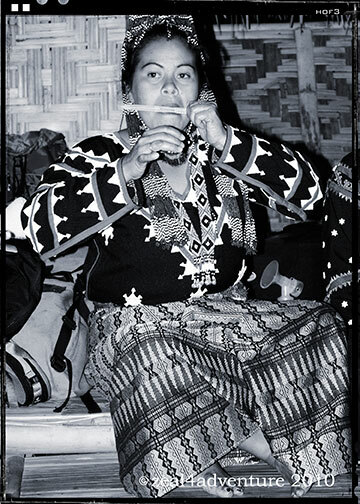 They are also very stylish people, the T’bolis – some of the accessories worn by their women include earrings, necklaces, belts, anklets and combs. Some more elaborate than others. Some I can even wear with my modern day attire. In fact, I have been accessorizing my wardrobe with the necklaces I bought since we got back – quite unique and distinctly ethnic garb, if I may say so. 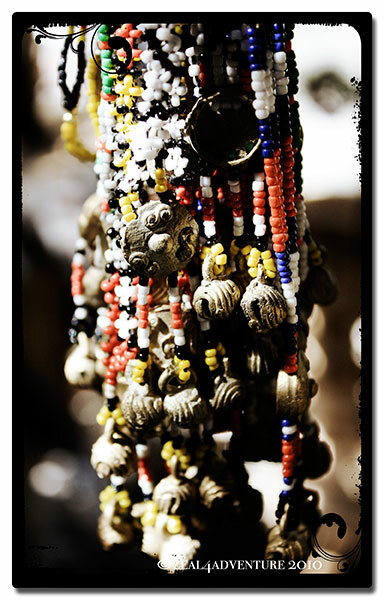 There are several kinds of necklaces, some more difficult to obtain than others. Those considered heirlooms will be the most difficult to find is unlikely to be found in the market. 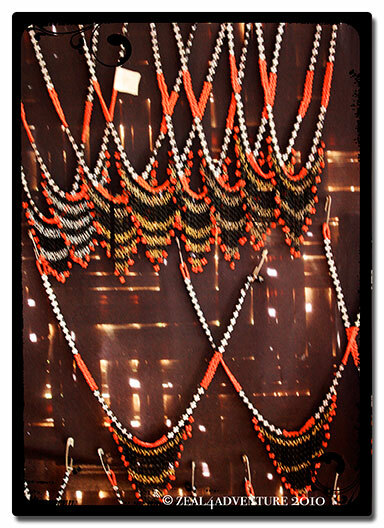 There are those made of beads such as this choker of pure beadwork in black, red and white called hikef. Some a combination of brass and beads. Earrings are also favorites. Here again is the lady and her unforgettable multi-studded dangling earrings. And here’s Mayang wearing an earring called a kowal. 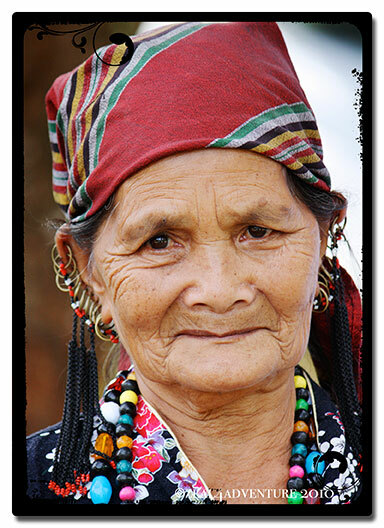 It consists of several strands of tiny colored beads suspended under the chin, from the left earlobe to the right that frames the face. She is also wearing a beaded comb. 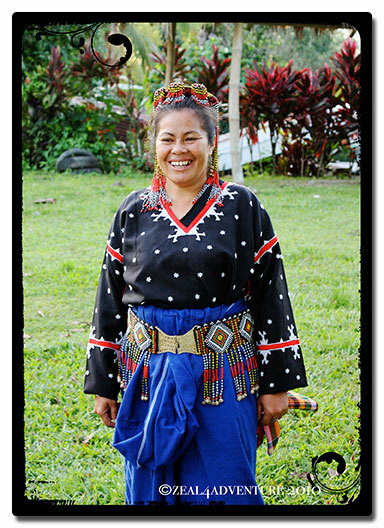 Speaking of combs, these are pretty common as many T’boli women are seen wearing them. 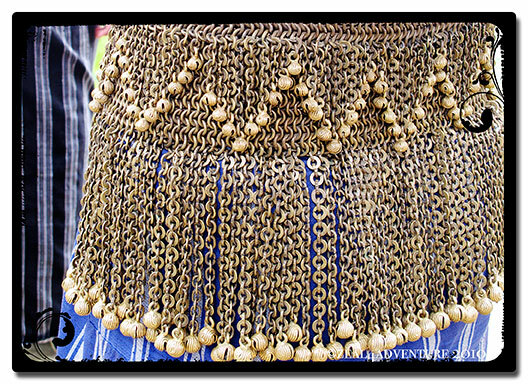 They also have belts or girdles as they are sometimes called — perhaps because of the strings of beads or brass that hangs from the waistband to their bellies. Beaded belts are more common and are used more than girdles. Remember the anklet worn by this wife of Datu Angkoy? Also something that may never come to fad, but who knows? Anything is possible in this day and age. 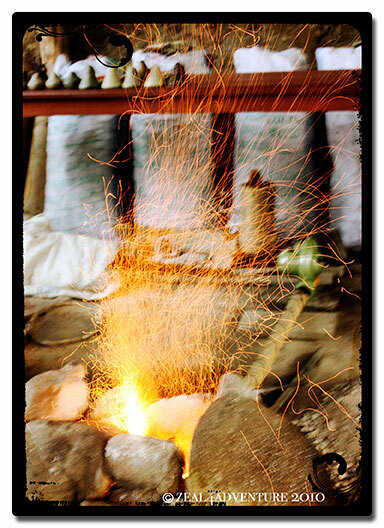 Bondosh is a well-known brass caster who was very generous in sharing his brass casting methods. We watched him finish the bells that we ordered. 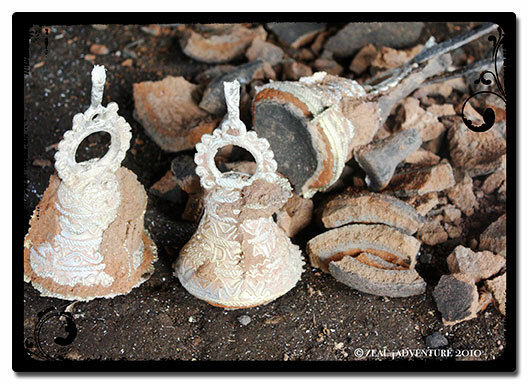 He melted some brass scraps and poured the molten brass into a cast shaped like a bell. This goes into an oven. From the oven he lined them up to cool. to break the cast which reveals an intricately designed brass bell almost ready. Interesting. 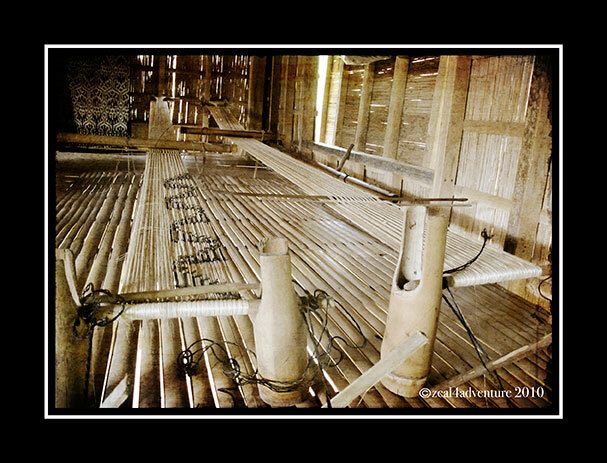 In our longhouse, we encountered this bead maker (is that what they call them?) at work. She was also going to perform that evening and she made good use of her time eh? I have learned to appreciate art in various forms – from painting, pottery, sculpture to graphic and interior designs, to even the performing arts – and most recently, the artistry of weaving, more specifically T’nalak weaving. 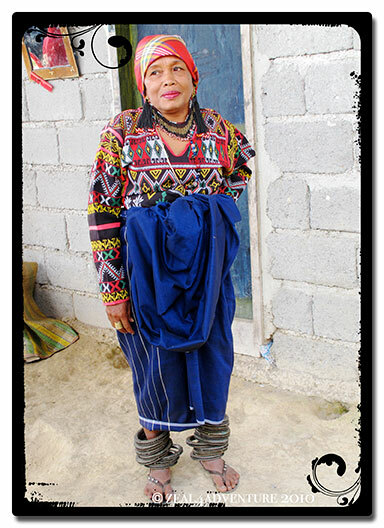 The T’bolis are known for their traditional fabric called T’nalak. This is made of long threads of Philippine-grown abaca fibers dipped in red and dark brown dyes. I am awed that it takes an enormous amount of time (like 6 months) to finish a 5m x 0.60m piece. 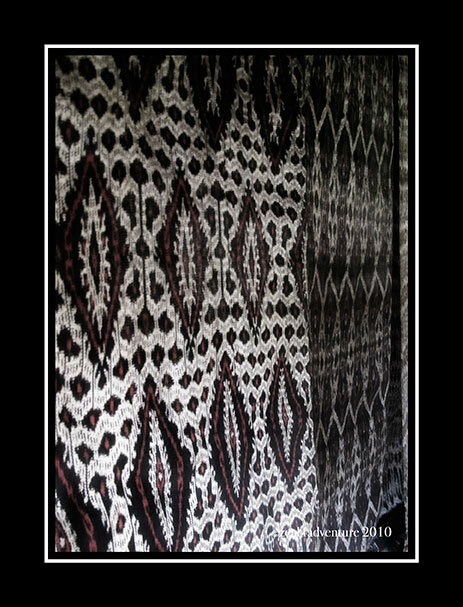 And it is woven by “dreamweavers” whose designs are inspired by their dreams. 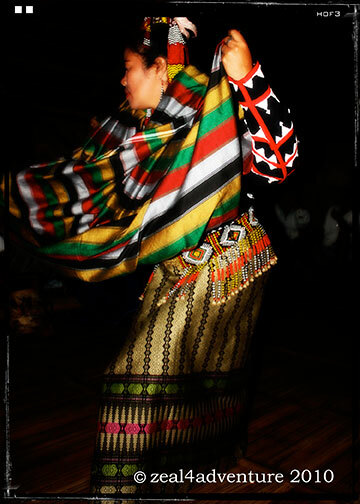 Gawad sa Manlilikha ng Bayan (GAMABA) is a program aimed at celebrating and safeguarding the work of indigenous and traditional artists of the Philippines. 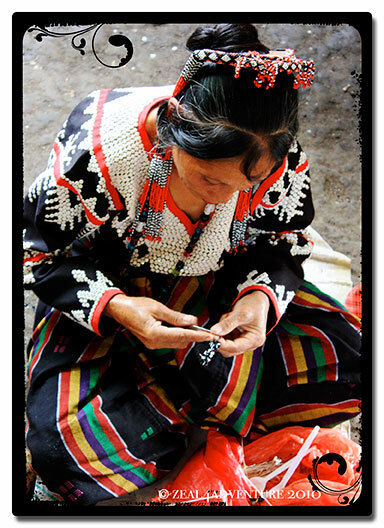 It provides recognition to National Living Treasures, the highest honor given to indigenous folk artist for their outstanding work in creating, preserving and promoting traditional art forms that are threatened with extinction. Awardees are artists who have manifested willingness to share their rare skill with others, especially younger members of their community. 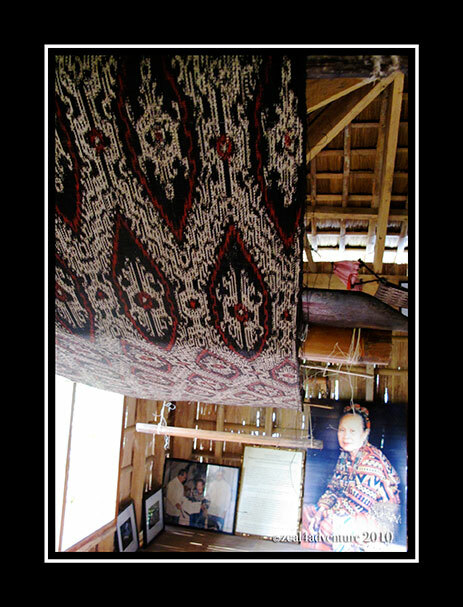 Lang Dulay, known as THE Dreamweaver, fit that bill. 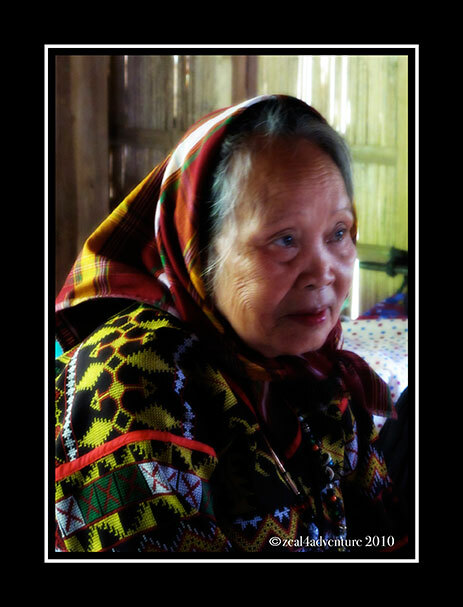 A National Living Treasure awardee since 1998, this 85-year-old native from South Cotobato opened a training center in Lake Sebu. Her students. Unfortunately at the time of visit, the center was closed due to some affair. Her works are incredible but most of all, her heart is awe-inspiring. What a great privilege and honor to meet such a humble and gifted person who is National Artist in stature. 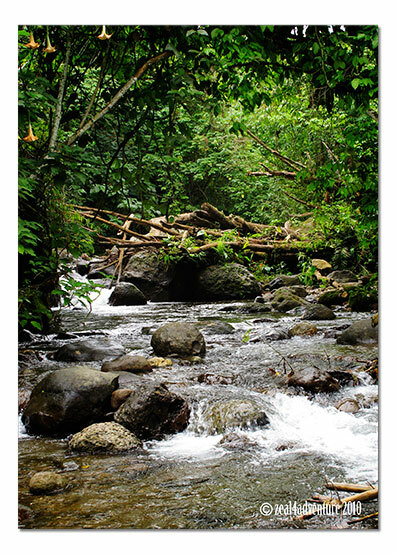 Setting aside the fact that it is tainted with a peace and order situation, Sitio Sepaka, a beautiful site is also known for its cool stream. 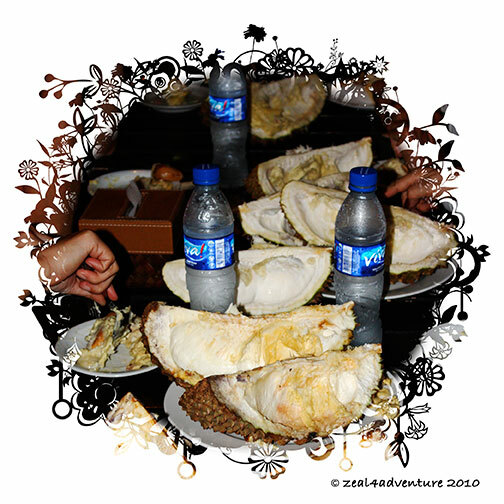 Four habal-habals with us in tow arrived at an entrance that charged P5 per head. It led us to a shaded foot trail that eventually revealed a refreshing creak that enticed us to take a dip. Children were all around, watching us with interest. The remoteness (and of course the peace and order stature that it holds) probably does not bring many tourists to their neck of the woods thus the delight. Oblivious to whatever threat that supposedly surrounded us, we had a great time frolicking with the locals, and the invigorating cold stream was a great “perk up” for the rest of the day. Disclaimer: Four guides that made sure that everything was safe before we headed out to this place of course accompanied us. If there were any danger to our wellbeing, we would never have ventured out at all. 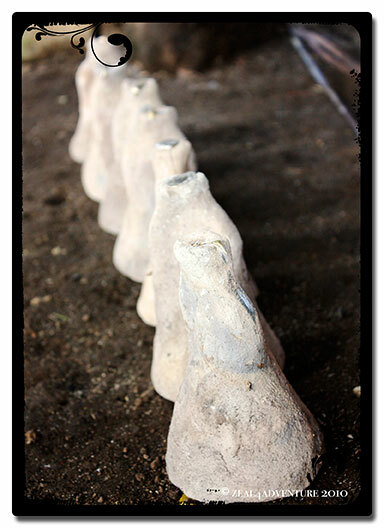 Please check with your guide at the time of your visit and please do not insist if it is not advisable.